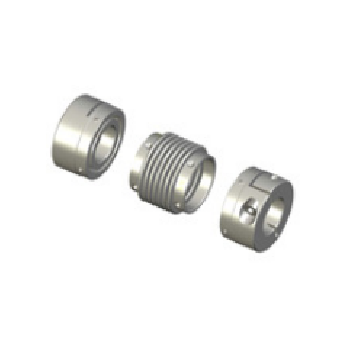 We offer high quality range of Bellows Couplings (Servoplus). These are the perfect coupling in all servo motor applications where high torsional rigidity, truly backlash free torque transmission, low inertia and superior reliability are required. The innovative modular system allows quick delivery and competitive cost advantage. These innovative modular system allows competitive costs and very quick delivery for any shaft combination. Additional benefits include bellow replacement without moving shaft. Drive Tech Solutions was established in the year 2010. We are a importer, supplier, distributor and trader of Locking Devices, Trasco Couplings, Sitex Couplings, Metaldrive Disc Couplings, Automotive Components, Motor Base & Automatic Tensioner, Chain & V Belt Drives and Lock Bushings. We presently have the sole distributorship across India of SIT Italy a 150 year old company engaged in manufacturing of various products. We have a strong engineering background and have over many years of work experience in areas like sales, marketing, product development, product approvals, testing and automation. We aspire to be the one of the leading suppliers of motion, drive and technology products in India and would be adding many more established and respected global products in our portfolio in the coming years. We strongly believe in building values through our customer contacts, close customer relationships and customer satisfaction. Our aim is to continuously strengthen our position as the preferred partner and leading supplier of engineering products to the global Machine tool industries and to make the world class technology available at customer doorstep as a cost effective solution.